Since moving to Virginia in 2004, I have spent many weekends in the Virginia Beach area exploring the southeastern part of the state. The region is also known as “the tidewater,” a term that refers to the Hampton Roads metropolitan area (Virginia Beach, Norfolk, Williamsburg, Hampton, and Chesapeake) as well as a few areas of northeastern North Carolina. It’s a huge population center for the state of Virginia, and it’s also the homeport for the Atlantic Fleet of the United States Navy. In fact, Hampton Roads has the largest US Naval presence on the east coast of the United States. Since the Hampton Roads/tidewater area covers a large amount of land, you’ll have no trouble finding fun activities or tourist sites no matter what you’re looking to experience. 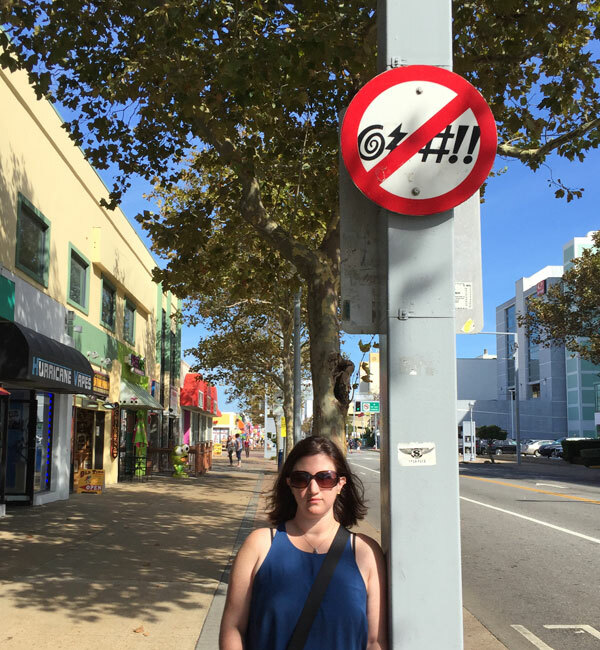 When we visit, we usually go right to Virginia Beach, but a trip earlier this fall to some of the neighboring areas reminded us there are some fun places away from the coast to visit as well. 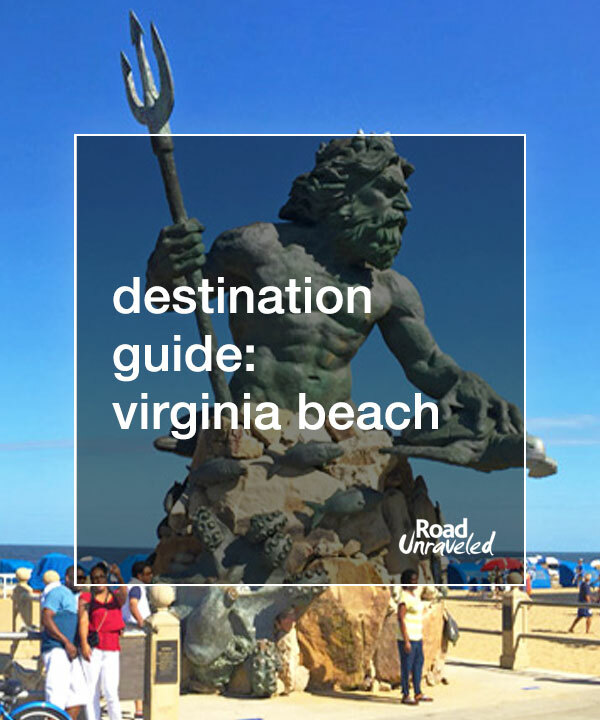 Here are our recommendations for a fun trip to Virginia Beach! Virginia Beach’s warm climate delivers some excellent weather if you’re looking to spend your time soaking in the sun! With dozens of hotels right on the beach or within a short walk, it’s an incredibly popular place to visit between Memorial Day and Labor Day (late May through early September). If you want the experience without the crowds and prices, consider a visit just before or just after the high season. When we visited in late September, hotel rates were much more reasonable, the beach was less crowded, and we still enjoyed hot, sunny weather. If you’re brave and don’t want to swim, the winter months are pretty spectacular as well. A few years ago we visited in February and got to experience a totally empty beach in the snow—not something everyone gets a chance to enjoy! Virginia Beach and neighboring Norfolk, Virginia have an enormous naval presence, so don’t miss a visit to Nauticus and the USS Wisconsin. Nauticus is a science center and marine-themed history museum that provides a great look into the region’s history. The best part by far is the USS Wisconsin, one of the longest-serving battleships in United States history. 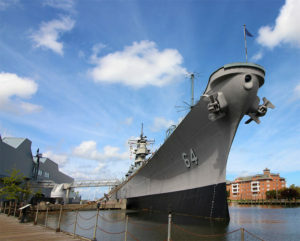 First launched on December 7, 1943, the ship served in World War II, the Korean War, and the Gulf War (as well as quite a bit of time in between) before finally coming back to the United States and taking up residence in Norfolk, Virginia. 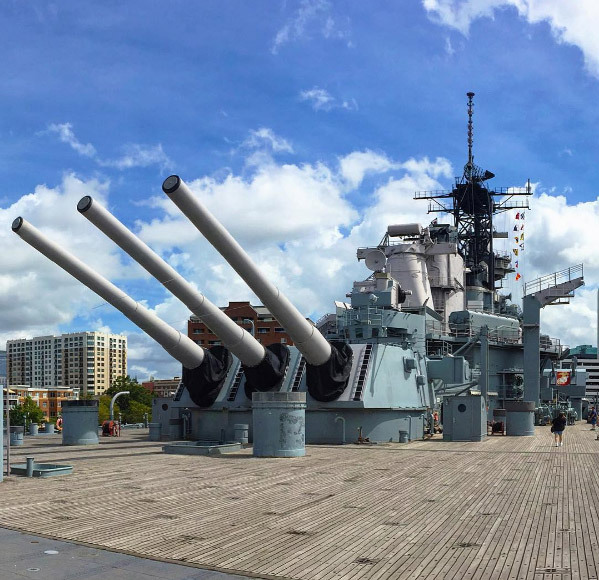 Armed with massive guns and artillery, the USS Wisconsin was one of the largest battleships ever built. You can tour the entire ship on your own, and it’s definitely worthwhile. 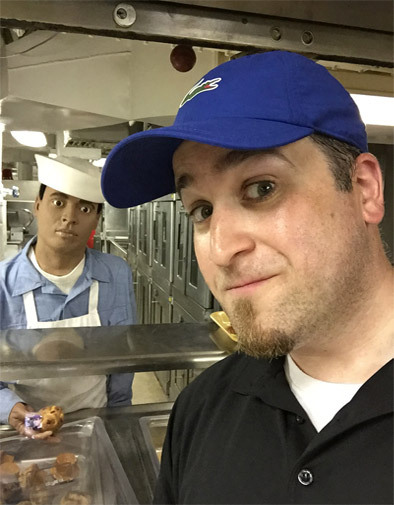 We really enjoyed seeing where the crew ate and slept, they even had mannequins set up to show how life was on the ship. It was truly eye-opening to see all of the technology and systems it took to keep such a huge battleship functioning so efficiently! 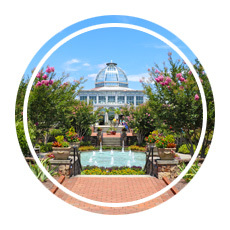 Virginia Beach has a great aquarium, and it’s an educational place to visit if you’re looking to learn more about marine life and trying to escape the heat. When we visited the animals were active and seemed happy and healthy, and you can easily lose an afternoon watching them. They have tons of activities for kids as well, and many of them are hands-on which will get them involved in learning. You won’t want to miss a stroll along the 3-mile long boardwalk to enjoy the scenery. It’s lined with numerous hotels, statues (King Neptune is our favorite), bars, and restaurants, and it has all the activities you would hope to see at a world-class beach. It’s also lined with shops where you can buy things like salt-water taffy, t-shirts, beach items and other fun souvenirs. One of the fun things you’ll notice are the famous No Swearing signs (a reminder that there are often kids running around—so watch your %&*$-ing language!). Ever think about having a picnic on a landfill? You probably haven’t, but if your curiosity is piqued you’ll love Mount Trashmore Park, which the locals affectionately call Mount Trashmore. It’s the nation’s first landfill park, which means clean soil has been layered on top of a former landfill to create a recreational space for residents and visitors. Rising like a volcano in the horizon, Mt. Trashmore has basketball courts, volleyball courts, a playground, and even a skateboard park. At the very least, it will be one of the more unique parks you visit! Virginia was settled by the English when they arrived in 1607; in fact, Jamestown was the first permanent English colony in the Americas (even before Plymouth in Massachusetts!). If getting a glimpse of the way life was centuries ago sounds like a fun way to spend time, don’t miss the Historic Triangle. Jamestown still offers visitors a chance to walk around and explore the “New Towne,” the historic fort that was built almost immediately after the settlers arrived, and a number of monuments dedicated to the settlers and Native Americans (including Pocahontas) who played important roles in America’s history. Colonial Williamsburg is the largest living history museum you’ll find in the USA; a visit here will connect you to life in the 17th and 18th centuries as well as a peek into the country’s first capitol. 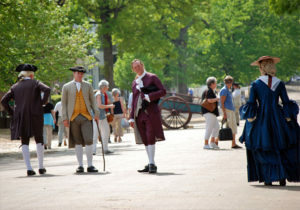 And don’t miss Yorktown, which is where the Revolutionary War was won in 1781. All three destinations would make for a great visit on their own, but seeing all three in a weekend isn’t out of the question if you want to fully immerse yourself in history! Virginia Beach is located at the mouth of the Chesapeake Bay, an estuary just inland from the Atlantic Ocean. The Chesapeake Bay is a popular place for fishing, swimming, sailing, kayaking, and observing wildlife. It’s also famous for being a source of incredible seafood- specifically the blue crab. These are some of our favorite restaurants in and around Virginia Beach. One of the more famous and reputable eateries in Virginia Beach, this is the perfect place to get a delicious breakfast and fight off the hangovers, sunburns, and other ailments that come with a beach weekend. The line gets long—really long—during the high season, so if you find yourself waiting grab a mimosa and a seat on the porch until a table opens up. Everything is good—we especially liked the pancakes and the NOLA Surprise omelet—but you can’t go wrong. Everyone needs comfort food now and then, and if the mood strikes you during your visit to the Virginia Beach area, the Grilled Cheese Bistro in nearby Norfolk, Virginia has you covered. We stopped in for lunch (it’s a tiny place, so be prepared to wait—and share a table with strangers if you wind up in a communal spot)—but you’ll be rewarded when you order. You can get anything from a classic three cheese to some very creative pairings (Stephanie loved The Violet, which is brie and blueberries on walnut and blue cheese sourdough). The fries are great as well; get the parmesan and chimichurri or the applewood smoked sea salt. Rockafellers is a great seafood restaurant in Virginia Beach. It’s a good place to go for fresh fish and crab, and while the classics they serve are great they often have specials with inventive takes on the catches of the day. Another awesome seafood restaurant, Catch 31 mixes fresh seafood and comfort food. We often try to stop in when we visit, especially since they have a great location right on the boardwalk next to the King Neptune statue. It’s a great place for dinner and people watching- and it’s walking distance to the beach! Virginia Beach has a lot to offer, but if you have access to a car you can check out even more exciting places that are located within a short drive from the beach. 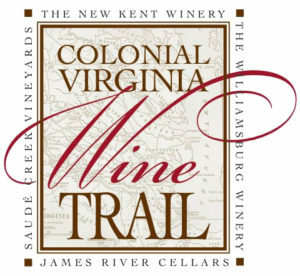 It wouldn’t be a post about Virginia without a mention of Virginia wine country, and the Colonial Wine Trail has a few good ones to choose from. 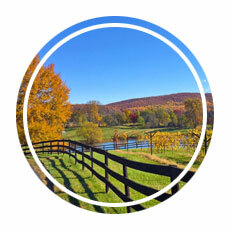 James River Cellars isn’t too far from the main roads and has a lengthy tasting for a good price point. 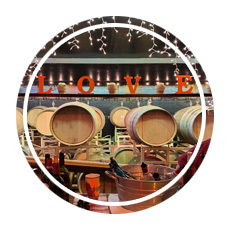 Williamsburg Winery holds a special place in our hearts because we served one of their wines at our wedding! You might have heard of the Mayflower landing at Plymouth Rock in Massachusetts- but that wasn’t the first settlement in the “New World” of America. You would have to sail quite a ways down the Atlantic seaboard to find Roanoke Island in North Carolina’s Outer Banks to see where the earliest colonists tried to establish a new home. A two-hour drive south of Virginia Beach, Roanoke is home to what became America’s first great mystery. Founded by Sir Walter Raleigh in 1585, Roanoke was also home to the first English-born child in the New World: Virginia Dare. The first settlers arrived in 1587, and their governor, John White, left later that year to return to England for supplies. When he returned three years later the 120 colonists he had left behind had vanished- there was no trace of anyone living there. 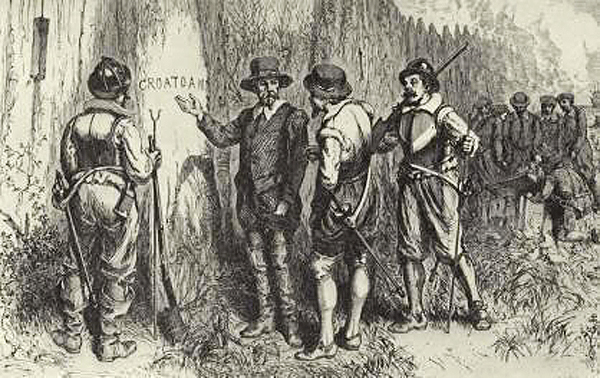 The only clue to where they may have gone was the word CROATOAN carved into a post near the settlement. The colonists were never heard from again, and Governor White returned back to England, brokenhearted over the loss of the entire colony. 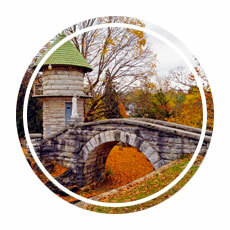 Fort Raleigh National Historic Site preserves the Roanoke site and has additional artifacts to bring the story to life. Something with the official name of Great Dismal Swamp doesn’t sound like it would be a fun place to spend a day, but we were amazed by both the natural beauty and the surprising history of this underrated state park on the Virginia and North Carolina border. It’s about an hour outside of Virginia Beach and it’s worth a visit if you’re looking to enjoy some hiking trails, see wildlife in their natural habitat, or maybe enjoy some kayaking. 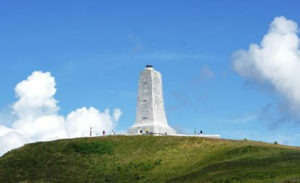 Located just 30 minutes from Fort Raleigh and the Lost Colony is the Wright Brothers National Memorial in Kitty Hawk, North Carolina. The site commemorates the first successful airplane flight by Wilbur and Orville Wright on December 17, 1903. The visitor center has a replica of the 1902 glider and the 1903 flyer. While Ohio may have been the Wright Brothers’ birthplace, the tidewater region can definitely lay claim to their first recorded flight! Busch Gardens is a huge attraction for people who visit Virginia Beach. The amusement park has an old Europe theme with various “hamlets” or villages that showcase the traditions of England, France, Germany, Italy, Scotland, and Ireland. There is something for everyone; from great roller coasters to fun rides for younger kids, it’s worth a visit on its own but also makes for a fun day trip between museums and wine tasting. It doesn’t have to be warm out to enjoy Virginia Beach and the tidewater region. We hope this helps you to think about some of the ways you can make the most out of a visit to a great corner of the state to explore some interesting history and some delicious cuisine!